Item # 314246 Stash Points: 5,495 (?) This is the number of points you get in The Zumiez Stash for purchasing this item. Stash points are redeemable for exclusive rewards only available to Zumiez Stash members. To redeem your points check out the rewards catalog on thestash.zumiez.com. Ride it all like "T. Puds" on the Thank You Bad Clouds 8.25" Skateboard Deck. 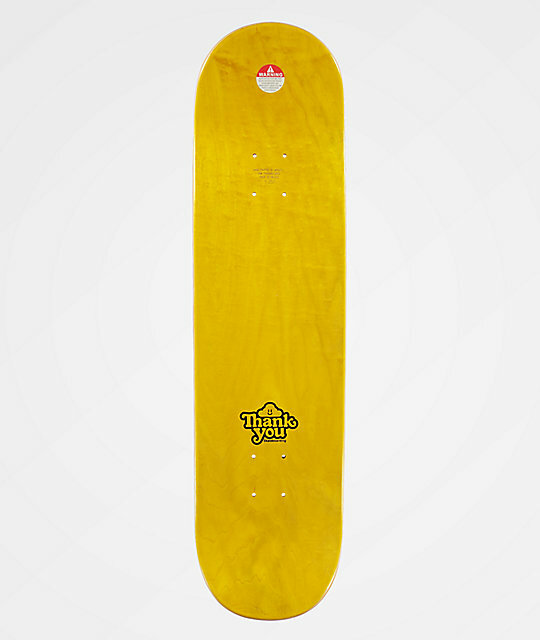 Designed by skate legends and company owners Torey Pudwill and Daewon Song, this deck has wide kick tails with a slight pitch create quick pop and stable stalls, while the small wheel wells leave room to ride your trucks nice and loose. Finished off with very slight concave throughout for a stable ride and old school feel, this deck is an ideal option for all-kinds of riding styles. 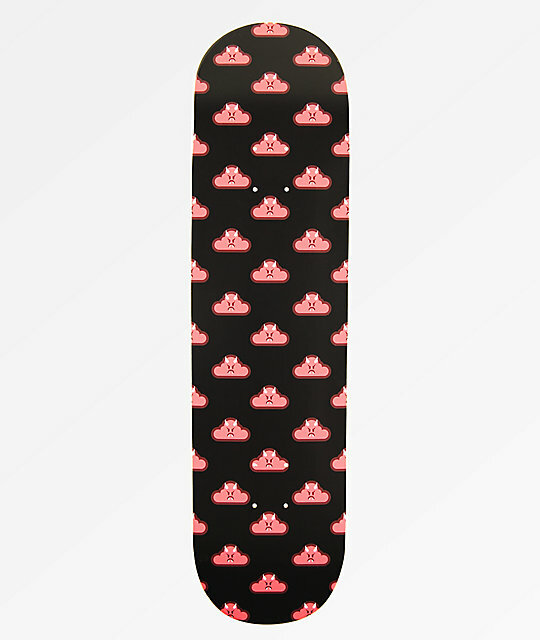 Bad Clouds 8.25" Skateboard Deck from Thank You Skateboards. Wide kick tails with slight pitch.